“First of all, I would like to open with a few words about you Tzvika [Cabinet Secretary Tzvi Hauser]. You are finishing years of dedicated, professional and unconventional work, with out-of-the-box creative thinking that frequently aided me, the government and the state, several of which will become known later. I think that you did so in an exceptional manner and I would like to specially commend the work that you initiated and, to a large extent, led on the national heritage plan. The heritage plan is designed to join all parts of the people, secular and religious alike, around our ancient and new heritage, ancient from the time of the Bible and afterwards, and modern, from the rise of Zionism, to preserve the actual sites and the intangible, visual, literary and other assets. I think that this is a major revolution in reinforcing the common foundations that define the reason why we are here and, of course, ensure the identity of the coming generations with the Zionist and Jewish enterprise. I remember that you first brought up the preliminary idea of preserving sites in my first term as prime minister; five sites, including Tel Hai, and then the idea developed. This is thanks to you and I would like to thank you for it, on behalf of the entire government and – I believe – the country. To fill your position is not simple, but I looked for someone with a background no less impressive and I asked Maj.-Gen. (ret.) Avichai Mandelblit, who was IDF chief advocate general, to do so. I am certain that he brings with him many qualities – legal and others, including knowledge of the security issues, which you also dealt with – for this task, and I will submit his appointment to the Cabinet today in the hope, and with good wishes, that he will continue your success. Yesterday, we sat until very late on the defense budget and I decided to bring before the Security Cabinet and the full Cabinet a decision that moderates the proposed cut to the defense budget by NIS 1 billion, which will not be at the public’s expense. I would like to make it clear that the IDF – including its commanders, soldiers and weapons – is vital, in both defense and offense, to Israelis’ security; these are two main fronts. The offensive front is clear. The defensive front is expanding to include the entire home front, the entire State of Israel. And therefore, we need the IDF to continue becoming more efficient, but we also need additional Iron Dome batteries, and I believe that the path I am proposing today strikes a proper balance between the needs of the economy and security needs so as to allow us to achieve both of these goals even though there is always compromise between such needs, and I think that this is the right compromise. I think that the most important thing for the Cabinet today is to pass the budget. Today, given the State of Israel’s national needs and the global economic crisis, it is important for the State of Israel to show that it is passing a budget. This decision on the defense budget will allow us to pass the budget. We will do this today and by the end of today, the State of Israel will have a budget. At the same time, we need to continue developing engines of growth. My visit to China, I believe, will aid one of these growth engines – opening the Israeli market, or to be more precise, opening Asia to Israeli initiatives and companies, and this could give us important additional growth. We will also need to continue the structural reforms inside Israel, starting with port reform, and there will be others. We have started this and we will continue with full vigor. These matters – passing a responsible budget, continuing structural reforms and building growth engines – will, I believe, ensure our economic future in the coming years. The government on Monday passed a sweeping measure to tighten Israel’s belt at a time when the world is facing another financial crisis. The government on Monday passed a sweeping measure to tighten Israel’s belt at a time when the world is facing another global financial crisis. With a vote of 20 to 9, the Cabinet approved a package of austerity measures designed to raise some NIS 14.15 billion within a year, and reduce the budget deficit by 1.5 percent. Voting against the package were the Independence and Shas parties, as well as Likud Social Services Minister Moshe Kahlon. 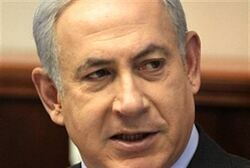 Prime Minister Binyamin Netanyahu sought to offset reduced state revenues by setting a 3% deficit spending target. 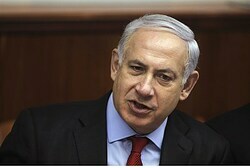 Prime Minister Netanyahu and Finance Minister Steinitz on Sunday decided to seek a deficit target of 3% to compensate for reduced state revenues due to the slowdown in European economies. In line with the decision, the government will be asked to set a lower deficit targets in the long run: 2% by 2016, and 1.5% until 2019. Netanyahu noted that the government will make efforts to meet the objective of reducing the debt to GDP ratio in the field of 60% in 2020. In their recommendation of the Minister of Finance is contrary to the position of Budget Division, proposed to increase the deficit target by only 1% – 2.5%. Finance Minister Steinitz: “After a long series of discussions at the Finance Ministry, with the participation of Bank of Israel and Prime Minister’s Office representatives, I have decided to update the 2013 deficit target to 3%. Following the sharp slowdown in Europe, we have a decline in state revenues in Israel; therefore, we must update the deficit target. This is still a challenging and conservative deficit target that is lower than in most Western countries and we will need to make an effort over the coming weeks to submit steps to the Government in order to meet this deficit target. We also decided to set long-term deficit targets – lowering the deficit to 2% by 2016 and 1.5% by 2019, and to maintain the original goal that we decided upon, which is the most important, of lowering Israel’s debt-to-GDP ratio to around 60% in 2020. In the coming weeks, we will present a plan to meet these targets.